leftofcenternation | We live in a Left Of Center Nation, no matter how hard the Right tries to convince us otherwise. We live in a Left Of Center Nation, no matter how hard the Right tries to convince us otherwise. 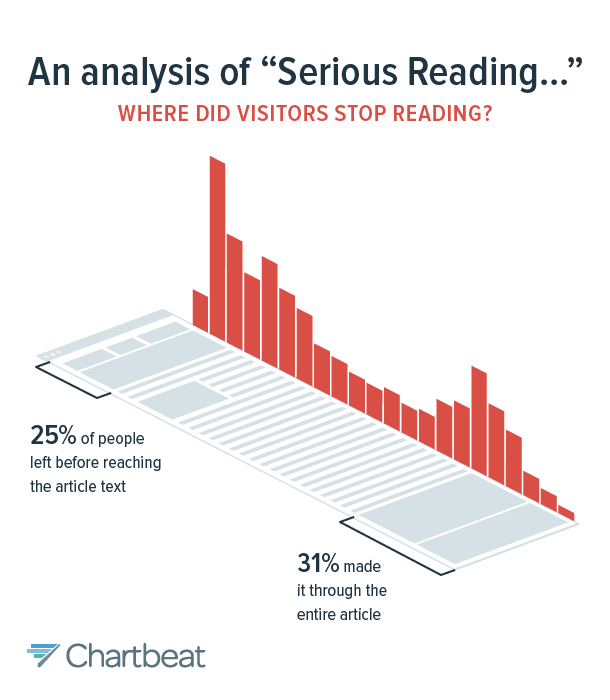 The above graphic is the answer to a riddle for our digital times: Did readers actually read a story about reading? The story in question — about how scanning and skimming our way through the Internet appears to be messing with how we read deeper, longer works — went viral earlier this week, with insane numbers of page views, a gazillion tweets, and even a starring role in Craig Ferguson’s late-night TV monologue. What do the republican governors of Kansas, New Jersey, and North Carolina have in common? They all cut taxes when they took over. How’s that working out? Well, Kansas now has a 900 million dollar budget deficit and their bond rating was just downgraded. New Jersey has just over a 1 billion dollar budget deficit and has now had their bond rating downgraded for the 5th time under Christie alone. North Carolina has a 445 million dollar budget deficit, prompting a special short session for the legislature to figure out how to close the gap. Why do they have deficits? They expected cutting taxes to ultimately generate more revenue through job creation and a broader tax base. Once again, trickle down failed miserably. Now, contrast that with the federal government which ran a 107 billion dollar surplus last month. This is the second surplus in the last 5 months. How did the government do this? They raised taxes on the richest Americans. This is why our national deficit is plummeting and may actually turn into a surplus before the end of Obama’s presidency, allowing us to actually pay off our huge debt eventually. You may wonder how the unemployment situation looks in those states, so here it is: Kansas is at 4.2 (pretty freaking good); New Jersey is at 6.9; and North Carolina is at 6.2. The national average is 6.3 so there doesn’t appear to be anything there to cling to, if you still think republican fiscal policy is anywhere near effective. Think people! November is coming quickly. Cassini Spots Another Pale Blue Dot! Negotiations come in all shapes, sizes, and intensities. While bargaining with a spy is very different from negotiating a home purchase or buying a car, many of the core tactics remain the same. Simple to master and easy to remember, these practices will help you get more out of any negotiation. Understand that negotiations are rooted in emotional “wants,” not rational “needs.” For example, do you really “need” a 455 HP Corvette? Know what the other party truly wants. What is it that you need? How big is the gap between what you want and what you need? Identify the personal and cultural biases and quirks of the other party. Develop a plan to circumvent their biases or exploit weaknesses in their perceptions (for example, you may want to use a female negotiator in a male-dominated industry). Central Issue only [extraordinarily short] (for example, “They broke in, stole my stuff, and left. That’s pretty much it”). Short Central Issue followed by long Secondary Issue. Long Secondary Issue followed by short Central Issue. For a deceiver, keeping the Central Issue brief and vague are essential to success. In contrast, the truthful person’s narrative flows smoothly through all three Issues and is full of details. I’m finally jumping into this blog, although a little lighter (and possibly less interesting) than I had originally imagined. You have to start somewhere though. I was watching reruns of Kevin Ware’s horrific leg injury perusing the news of the day when I stumbled upon the UN small arms treaty coverage by Rachael Maddow. Some of you may remember this story from February of 2011. I for one thought this would die as soon as the text of the nonexistent treaty (at the time of the above article) was released . . . boy was I wrong. Not only did the right wing extremist rhetoric not die, it managed to take hold in the minds of otherwise normal, center right republicans. You can read the entire 13 page treaty here. To ratify a treaty requires 67 votes in the Senate, which we are all but guaranteed not to reach now thanks to Senator Paul’s successful fear mongering. For perspective, we will join North Korea, Syria, and Iran on the list of countries that will not ratify this measure. Those 3 voted against it, while we voted for it, but that will matter little when the Senate kills it. Good job Rand, you’re really showing the country what foreign policy under your presidency would look like.